A recent preschool theme was the solar system. What better way to learn about the planets than by making our own solar system out of paper mache? First, we discussed the solar system using books and posters. Then, the kids made models of the four big, gas planets (Jupiter, Saturn, Uranus, and Neptune) out of paper mache. Finally, each child held a planet--paper mache for the big ones, little balls for the little ones--and orbited the sun (a giant pink ball in the middle of the room). Fortunately, the real planet stay in their orbits better than our models did! Unfortunately, we didn't get any photos of our living solar system. 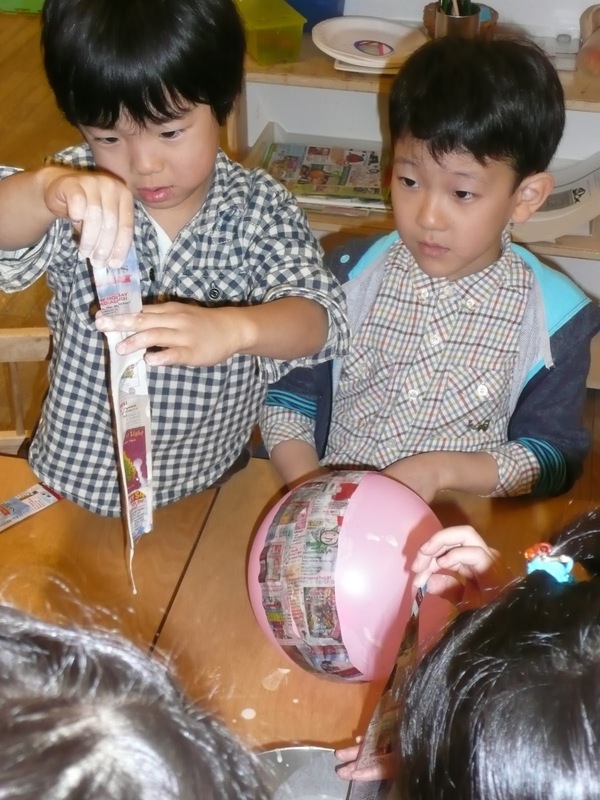 New Hope International School in Tokyo, Japan is two schools in one, an international preschool and an English school. We serve children from one to twelve years of age, from beginners to native speakers. Students from all backgrounds are welcome. Enjoy this blog and check out our main web site (in English and Japanese).